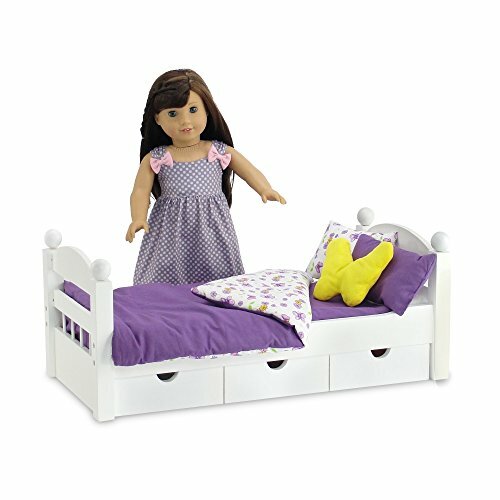 Made to fit 18 Inch dolls such as American Girl, Madame Alexander, Our Generation, Gotz, etc. 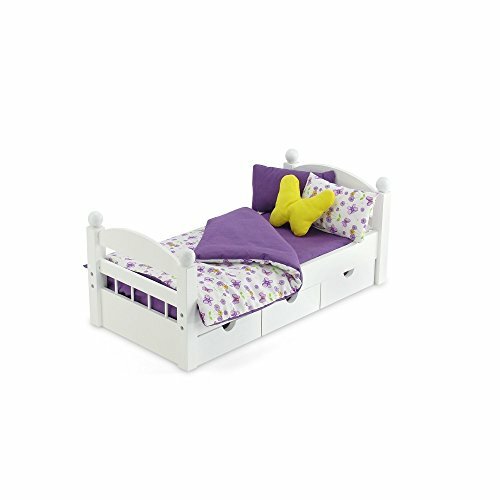 Reversible purple and yellow butterfly print doll bedding set, perfect for personalizing your doll’s bed! 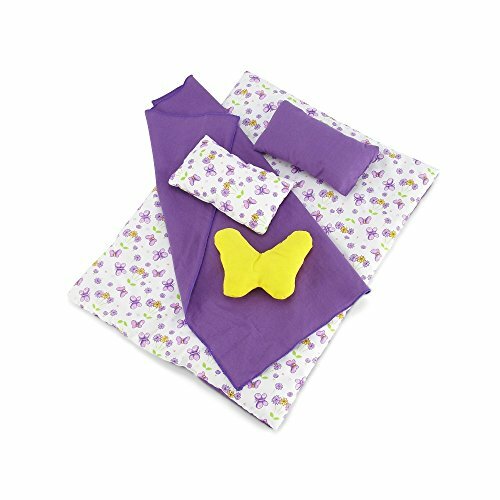 Beautiful, vibrant ensemble includes snuggly comforter with butterfly pattern on one side and purple reversing pattern, 3 fluffy, thick pillows, each with a different variation on the butterfly theme, and a matching purple sheet. 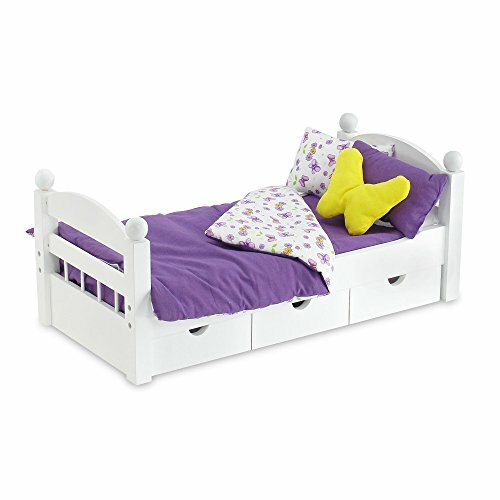 Designed and manufactured by Emily Rose Doll ClothesTM, safety tested.